Compressed air contains water vapor. As this air travels through compressed air piping it cools and the vapor condenses into liquid condensate. This condensate increases maintenance requirements and affects product quality. Kaeser Secotec® dryers condense and remove moisture before it attacks your system. These reliable dryers feature the energy saving Secotec cycling control. 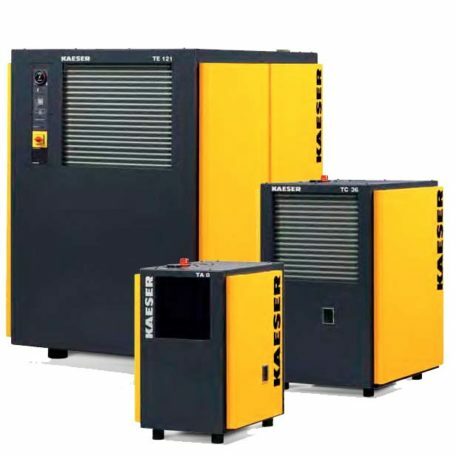 Secotec dryers operate the refrigerant compressor only when necessary by using a thermal storage medium. The refrigerant compressor cools the medium to a predetermined temperature and then cuts off, allowing the medium to cool the air and condense the water vapor.